How to Retrofit Existing Single Feed TVRO? 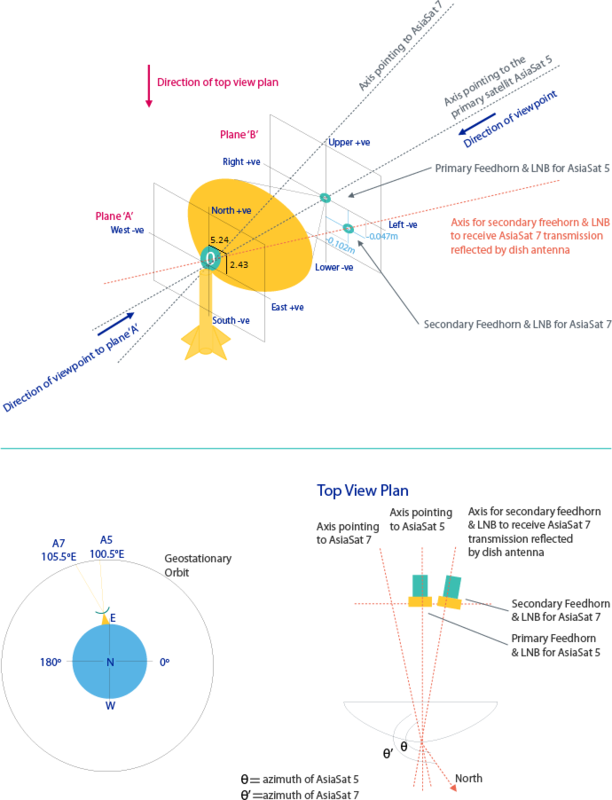 To receive more than one satellite simultaneously using one dish antenna, you need to find out two additional angles to fix the supplementary feedhorn besides the Azimuth and Elevation angles of the primary satellite. They are the "Relative Separation Angle" and "Feed Offset Angle". The relative separation angle is used to align the supplementary feedhorn on the transversely displaced feed point of the secondary satellite. 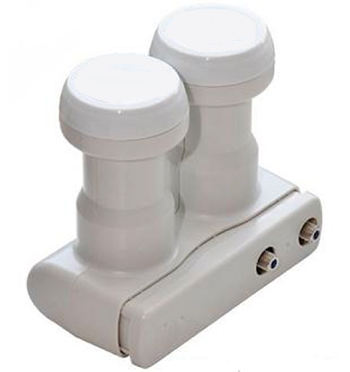 Feed offset angle is used to find out the position of the supplementary feedhorn. Imagine that there are two planes, Plane 'A' and Plane 'B', along the antenna axis. Plane 'A' is at the back of the antenna and Plane 'B' is in front of the feedhorn. If AsiaSat 5 is the primary satellite, align the dish antenna with AsiaSat 5 first. Then find out the position of the secondary satellite (i.e. AsiaSat 7) on plane 'A' and the position of the secondary feedhorn on plane 'B'. Align the secondary feedhorn with the secondary axis by connecting these two points. In the case of receiving two satellites with a single dish, the receiving gain for the secondary satellite will be lower than that of the primary satellite. In order to compensate this loss, a large antenna or signal booster may be needed.